Kyrsten Sinema and Martha McSally have been in campaign mask. Both U.S. Senate candidates have been wearing false fronts since the primary, and everyone knows it. But Sinema and McSally continue with the fiction, somehow thinking their masks are going to make them look better. That’s the pity of this race. All either candidate had to do was be herself –– or, at least, the self both displayed as U.S. House members – and the race would be just as competitive, particularly among independents and moderates. Because the real Sinema and McSally are centrists, accomplished women with moxie and class and the ability to work with people who aren’t like them to get stuff done in Congress. Is Kyrsten Sinema really a radical? McSally and other groups have painted Sinema as a tutu-wearing leftist who – repeat it with us, because we know you’ve seen the ad –– was protesting our country while McSally was on a combat mission defending it. It’s true. Sinema did wear a tutu. She told a Libertarian talk-show host that she had no problem with him joining the Taliban. But she also was one of the few Democratic state lawmakers who was willing to try to work with then-Senate President Russell Pearce, who authored the tumultuous Senate Bill 1070. She also became close friends with former Republican U.S. Rep. Matt Salmon. People change. They learn and grow. And Sinema’s record in Washington proves it. More than 60 percent of the bills she co-sponsored this session were introduced by Republicans. She voted just a couple of weeks ago to make some of the tax cuts permanent in last year’s Republican-led bill – making her one of three Democrats to do so. Sinema sides with Trump’s agenda 62 percent of the time, according to an analysis by the website FiveThirtyEight – less so on social issues than on the economy and defense. But it’s hard to argue that the Sinema of the last few years is some sort of commie – not when Andy Biggs, perhaps one of Arizona’s most right-leaning politicians, votes with Trump only 74 percent of the time. 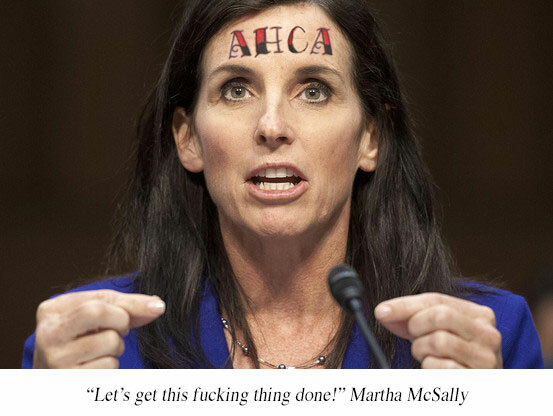 Is Martha McSally really a hardliner? For the record, McSally voted in 2017 for a Republican budget resolution that sought to slow cost increases by expanding the role of private insurance in Medicare. But nothing’s actually been cut, and the debate’s out on whether that plan would turn Medicare into a voucher system, as Democrats allege. A 2018 budget resolution that the House Budget Committee approved last week calls for major Medicare reforms, along with some changes to Social Security. The most dramatic changes would raise Medicare’s eligibility age, and shift the program to a flat premium-support payment, or voucher, that beneficiaries would use to help buy either private health insurance or a form of traditional Medicare. This would be a big, risky experiment, conducted in real time on our largest healthcare payment system – and on an elderly population with the most intensive healthcare needs. The impact on premiums and total out-of-pocket costs would depend on the specifics of the plan, which are not known at this point. In other words, if CMS is truly considering a “premium support” or voucher model, CMS should have made that abundantly clear in the RFI so that Congress and “diverse stakeholders” could comment appropriately. Since CMS has not made public the comments from the RFI, there is no way for Congress to evaluate the input the agency received or know how to meaningfully add to it. We call it “coupon care,” because (as the Senators point out), instead of receiving a guaranteed health benefit, patients would be given what amounts to a coupon with which to purchase traditional Medicare or private insurance. More importantly, if Martha McSally goes to the Senate, she will vote in lockstep with Senate Majority Leader Mitch McConnell, who declared last week that Republicans are coming for your healthcare, Social Security, Medicare and Medicaid. Believe them. There should be no doubt in your mind what the agenda of a Republican controlled Congress is next year. Your only defense is to deny Republicans a majority. McSally does vote with Trump’s position on issues 97 percent of the time. But she is not the ideological hardliner that many make her out to be, and you can see that in how she approaches legislation. Like Sinema, McSally studies issues deeply, works to make compromises within the legislation and, in the end, votes based on whether the bill is better than the status quo. Perhaps most illustrative of her approach –– and completely lost in the campaign rhetoric on both sides – is how McSally handled Obamacare. She voted for repeal, but when that effort failed, she joined a bipartisan group that offered solutions to shore up the program – and noted in an op-ed that you fight the battle you’re in, not the one you wish you had. This “Problem Solvers Caucus” thing is a joke, for both McSally and Sinema. This group has literally solved nothing. It’s all just for show. If the real candidates had just stood up, making a choice in this race would have been nearly impossible. Because there aren’t a lot of stark, black-and-white differences between Sinema and McSally. One has governed from the center-left. The other has governed from the center-right. In an era of hyper-partisanship, that makes both rare –– and valuable. But the choice becomes clearer if we’re judging the two simply on their campaign performance. Because Sinema has worn the better mask. Maybe the vitriol of a hard-fought primary got to McSally. But she looked like the smaller person in their only televised debate, repeatedly calling Sinema a liar and, later, a traitor for her decade-old Taliban comments. McSally even sent out a press release saying the penalty for treason was death (though she later clarified that she doesn’t mean Sinema should die). Sinema has stepped over the line at times, too (case in point: that attack ad on McSally’s Medicare record). 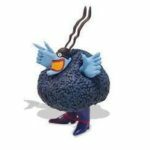 [Again, it is accurate. Get over it, Robb.] But McSally has hurled a near-steady stream of attacks against Sinema – and unapologetically so. Because to McSally, this is how you play the game. We need to get back to a saner time, when senators didn’t call each other names –– or if they did, they could put it all aside after the vote and go get a beer together. There is too much “us and them” in D.C., and it hurts how we are governed. 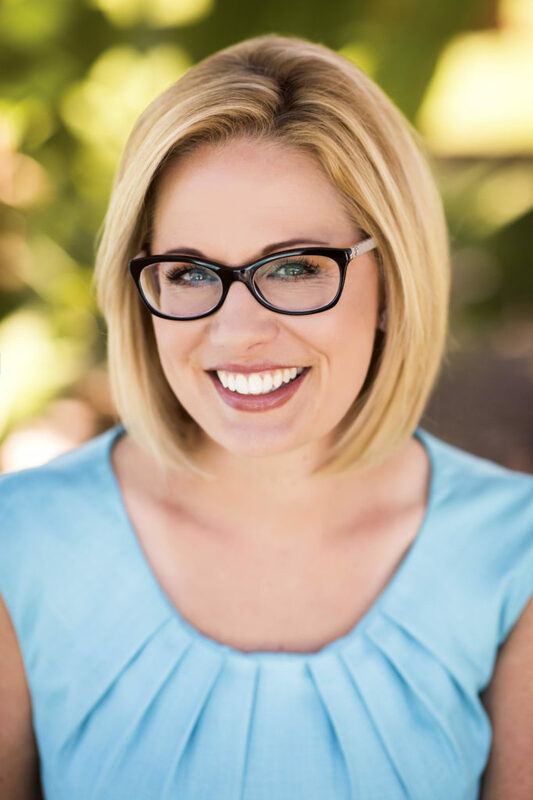 There may be no better example of politics by collaboration than Sinema. She literally wrote the book on it –– “Unite and Conquer” (2009). She leads with an arm extended to the other side and a promise to work together. She has traveled a long ways from the street-marching activist she once was to the good-natured centrist she now is. In a Washington in which rancor and malice are disturbingly normal, Sinema is the antidote. Leaders like her can come from any party and they are needed more than ever. That’s why in the race to elect Arizona’s next United States senator, The Arizona Republic recommends voters chose Kyrsten Sinema. It was a convoluted argument, but it eventually arrives at the right destination. UPDATE: In case you were wondering, In historic move, the Arizona Republic endorses a Democrat for Senate for the first time in 18 years. We are witnessing an American tragedy in the making daily. We long for the return of civility and decency, which the McSally/GOP party of Trump and his lemmings do NOT represent! The GOP party of Trump, belong in an authoritarian third world country NOT America “land of the free”. We will vote for Kyrsten Sinema and encourage others to do the same. Our country needs to move forward and evolve in the 21st century, NOT backwards to the McCarthy and Jim Crow eras we left behind decades ago.